Application Applied to auto brake system. Transferring brake medium during braking process to ensure brake force could be transferred to auto brake shoe or brake caliper which will produce brake force to brake the automobile vehicle anytime. Â Â * Fitting: common fitting within 30 days; special fitting within 40 days. Â Â * Brake hose: within 20 days. Â Â * Brake hose assembly: within 40 days. Please noted: exact lead time is based on the order details. How to select rubber hose? 1. Internal working medium of rubber hose: compressed air, water, engine oil, speed changing box oil, steam, etc. 2. Working temperature: including working medium temperature, surronding environment temperature. 3. Working pressure: normal operating pressure, max working pressure; to decide pulsating pressure and pulsating frequency, etc. 4. Working environment: if there is bending of rubber hose? What's the bending degree? If there is friction with car body? Nanjing Orientleader Technology Co., Ltd. (ORLETE) is originally known as Nanjing 7425 Rubber & Plastic Co., Ltd., founded in April 1949 with Mr Ju Jianhong as the legal representative while controlled by China National Chemical Corporation. Our company located at No.7 Maigaoqiao Pioneer Park, Qixia District, Nanjing, China. 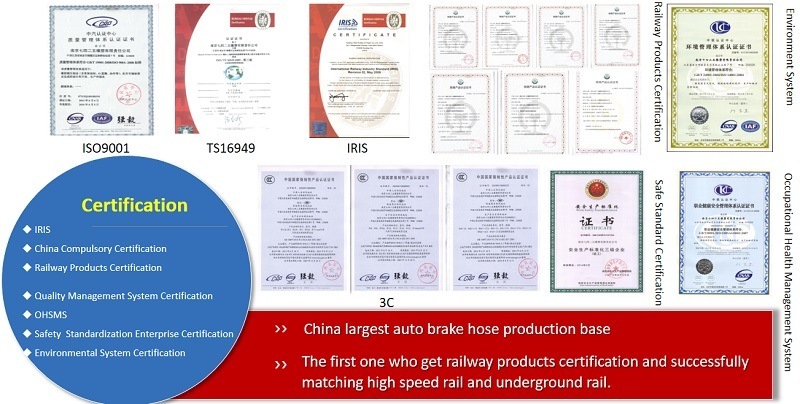 As a digital enterprise specialized in rubber products R&D as well as high-end products manufacturing, so far we're China largest R&D and production base of auto brake hose, and also the designated R&D center of railway rubber products for China Railway Corporation. "ORLETE" and "7425" brand have a considerable reputation and credibility with exports to America, Japan and Southeast Asia, etc. Q1: What kind of rubber hose that you produce? 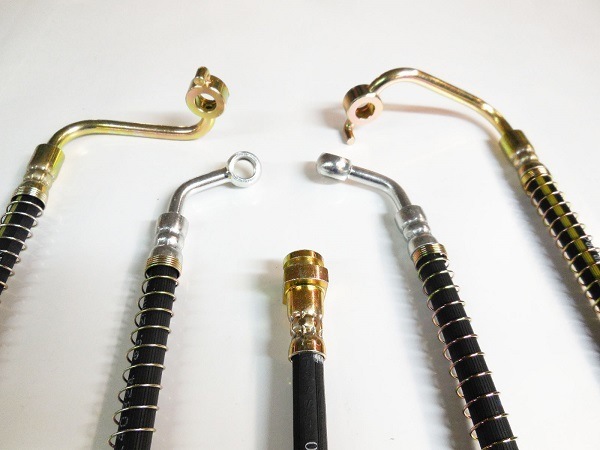 Q2: Â What size of brake hose can you supply? Q3: Â Can you print the words (line) according to our requirements? Â A: Â Yes, we can provide embossed and printing mark with different colors based on your requirements. Q4: Â What kinds of fittings can you produce? Q5: Â How many types of brake hose do you produce? Q6: Â What is my order's delivery date? Â Â A: It usually takes 5-40 days, which depends on the order quantity. 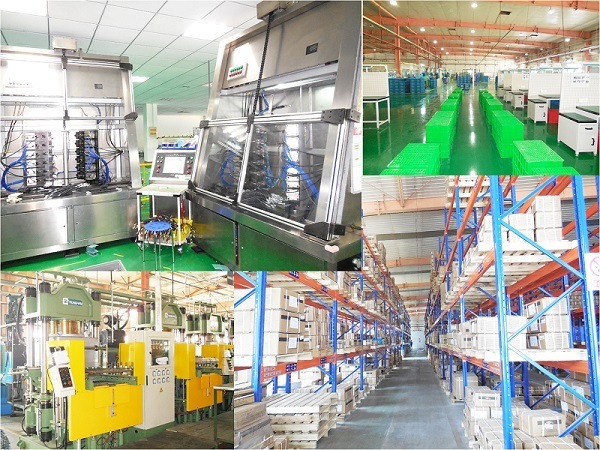 Our company adheres to the tenet of quality first, users first, now reside in the domestic high grade, high quality, high performance, environmental protection equipment technology development and production base, production volume in the national top Xu in the industry. Main technical products are: Cloth Bag Dust Collector, single filter, cyclone, and Electrostatic Precipitator and wet Dust Collector, dust remover, the filter cartridge dust collector, injection machine and other kinds of environmental pollution control technology and equipment, dust bag, dust skeleton, electromagnetic pulse valve, discharge feeder and other accessories, products are widely used in metallurgy, electric power, building materials, chemical industry, etc.